It’s yet February, but things are starting to warm up. Snow fell for a few hours yesterday - just tiny small crystals and ice dust. It was warm with temps hovering right at the freezing point, and the small dust bits melted almost instantly as they hit the glass. The snow crystals were not far behind them. 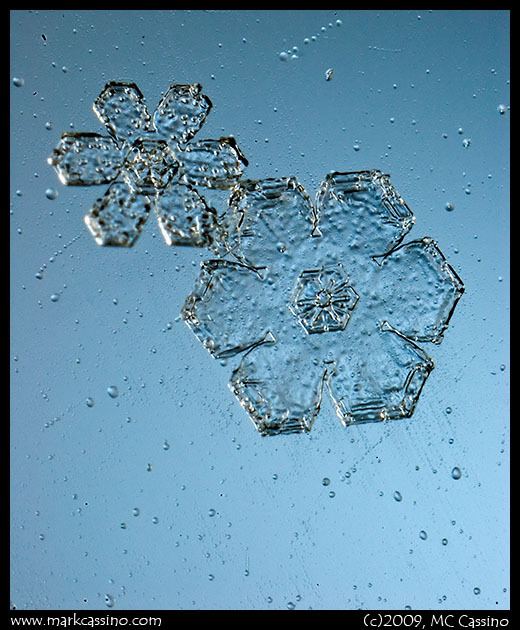 It wasn’t a real productive session - but I like the water droplets with the two small snow crystals. One other shot is in the Photoblog.